For meeting the storage requirements of kitchens, we are providing to our customers a broad collection of Wine Glass Holder All our racks are well designed with 3 shelves that are mounted over one above the other. Useful for placing kitchen items, these racks provide easy usage and optimum space utilization to the kitchens. 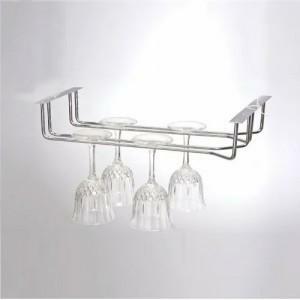 Moreover, the assortment of Wine Glass Holder is offered by us at industry leading prices.